For 43 years, Ken Simons has quietly had what must be one of the best jobs in the art world. 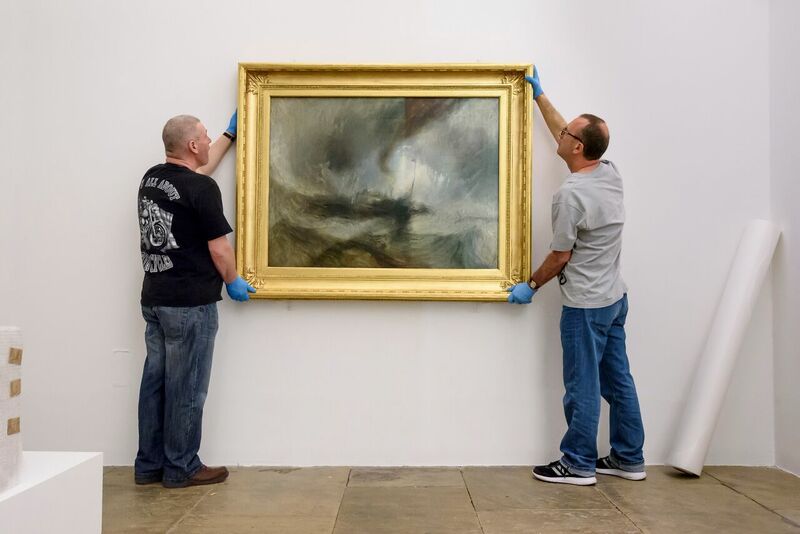 Working as a Tate Art Handler, first in London and then for 30 years in Liverpool, he’s had the kind of close-up access to artworks that most of us can only dream of. In recognition of the crucial role he’s played in every single show since the gallery’s inception, Tate Liverpool have given him Ken’s Show, a space in which he has curated his favourite pieces from the Tate collections – and what a lovely show it is. Simons has used Philip King’s ‘Within’ as the starting point from which the exhibition radiates out. It’s an artwork which, as his introduction tells us, he feels a very strong connection with, as he remembers building it from the inside out. It’s a unique knowledge, born of experience that has given Simons an admiration not only for the form, but the artistic process by which it has been created. It is a very physical work too, this quality is reflected in many of the other works of the show. In both paintings like Mark Rothko’s ‘Light Red Over Black’ (another of Simons’ favourites) to Alison Wilding’s ‘Airing Light’, pieces throughout the show carry a sense of individual presence and substance. Then there’s the titular theme of the “unseen”. Simons admits that he started planning the show by choosing his favourite pieces, and it was only later that the theme emerged. But even through the diversity of artworks Simons has chosen from the Tate collection (an exercise which would leave anyone spoiled for choice), the theme feels like a driving focus rather than an afterthought. The things which are hidden or left unspoken are consistently as important as the visible forms, whether it’s in a classic by JMW Turner or the photographic record of Christo’s transient ‘Valley Curtain’ installation. Another favourable aspect of Ken’s Show is that Simons has written the notes for every painting. They reflect his research for the show, and a careful consideration of the themes he has chosen to explore. But they’re written in first person – personal, rather than didactic. They’re the final touch to confirm that this is a show born not from academic or commercial concerns, but a genuine feeling of warmth and enthusiasm for the pieces. This is the ultimate triumph of this show – that these artworks are not included out of demands for intellectual admiration, but because they are loved. Ken Simons may not have set out 43 years ago to become a curator, but he’s embraced the role with curiosity and enthusiasm to bring together a show that truly feels like the fruits of a lifetime’s personal experience. Ken’s Show: Exploring the Unseen is showing at Tate Liverpool until Sunday 17 June 2018, admission is free.